OPSC recruitment 2017 notification has been released on official website www.opsc.gov.in for the recruitment of 2173 (two thousand one hundred and seventy three) vacancies for Medical Officer (Assistant Surgeon). Job seekers should apply from 19th December 2017 and before 17th January 2018. Educational Qualification: Possessed MBBS or equivalent Degree from a Medical College or Medical Institution recognized by Medical Council of India. Fee charges: Applicants who wanted to participate for OPSC should pay the below charges through Challan at State Bank of India. 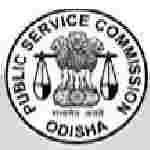 Interested and eligible aspirants should apply online through the website www.opsc.gov.in from 19.12.2017 to 17.01.2018 Candidate may also send Hard Copy of Online application form along with photocopies of relevant documents to The Secretary, Odisha Public Service Commission, 19, Dr. P.K. Parija Road Buxi Bazar, Cuttack – 753001 on or before 29.01.2018.